there's a contest on Nicole's blog here. so go play along and enter the contest! Wow gorgeous cards! Really love the tree one. I too especially love the tree one - I'm lovin' the aura effect on it ! Through the Trees is one of my favorite sets. Love it paired with Woodgrain! 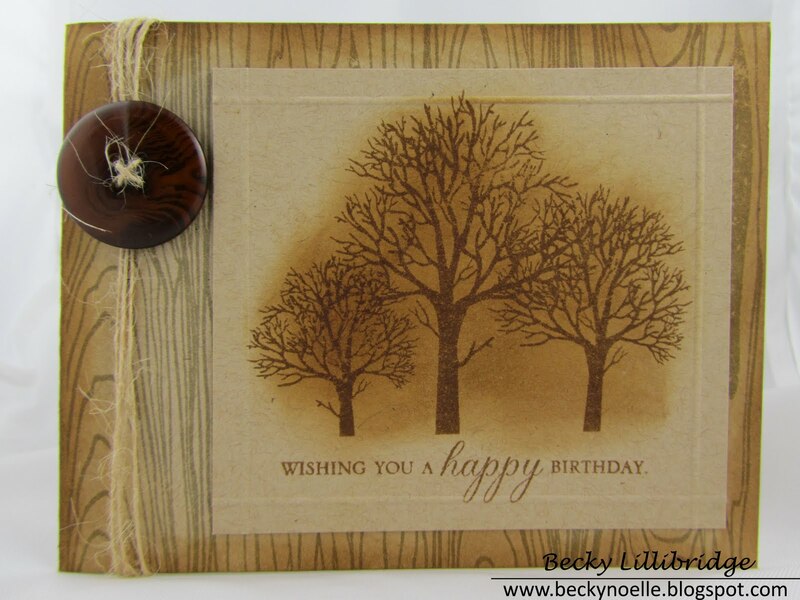 Gorgeous card, I love all the muted colours. These are both fabulous! I love, love, love the first one! And the second is so awesomely CAS. Great work! That tree card is so beautiful! Reminds me of a misty late fall morning! The woodgrain and twine on the second, too cute! Both beautiful! I love the variety here as both are so different but similairly fabulous!